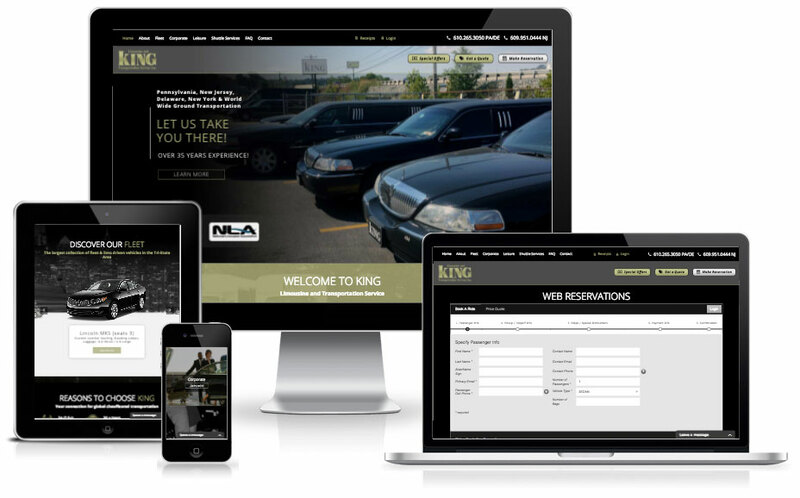 When King Limo, one of the regions largest global transportation companies, contacted neXVel to help them grow their brand online we were excited for the opportunity. King’s transportation clients range from Fortune 500 companies to the Pope to Celebrities to thousands of clients in need of general and specialty transportation services. They efforts has won them Best of Philly, Angie’s List Super Service Award Winner and many more accolades. King’s existing site was outdated, non-responsive and was missing a lot of content and SEO relevant to its services. 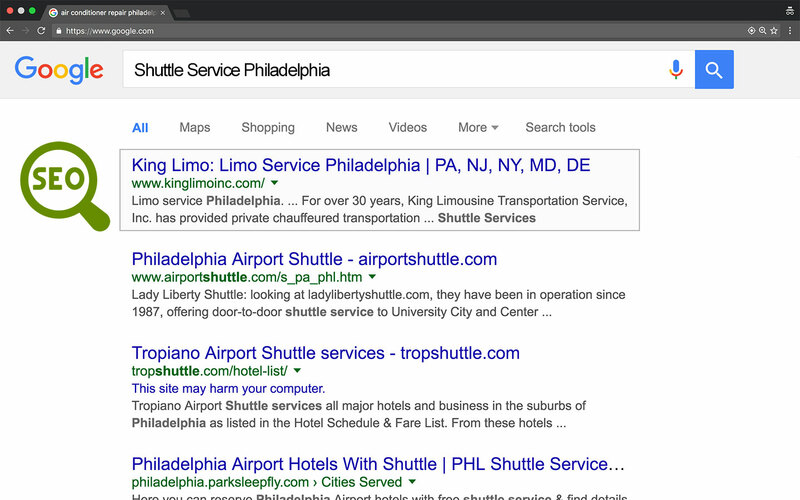 The main objective outside of a website redesign and content development was to target more corporate transportation and shuttle service users. Additionally, they wanted to rely less on paid advertising and more on organic search results which is something King hadn’t prioritized in the past. Naturally, our services started with a website redesign, but modern layouts and creative design are only part of what had to go into a web redesign project. 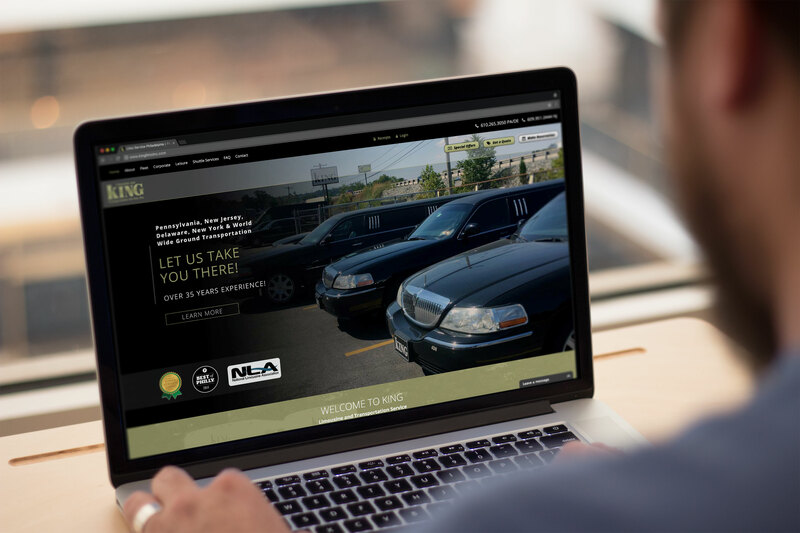 We worked with King to reorganize and better communicate King’s full services while creating more engaging, relevant and interactive content such as an interactive fleet slider where users can quickly browse the entire fleet of vehicles. We also developed a content strategy and SEO strategy that worked together to cover all areas of services and target the right users and content to the search engines. 30 Days after we launched the new site we saw an instant 50% increase in web form leads. Users were staying on the site longer and converting into leads at a rate never before experienced by King. 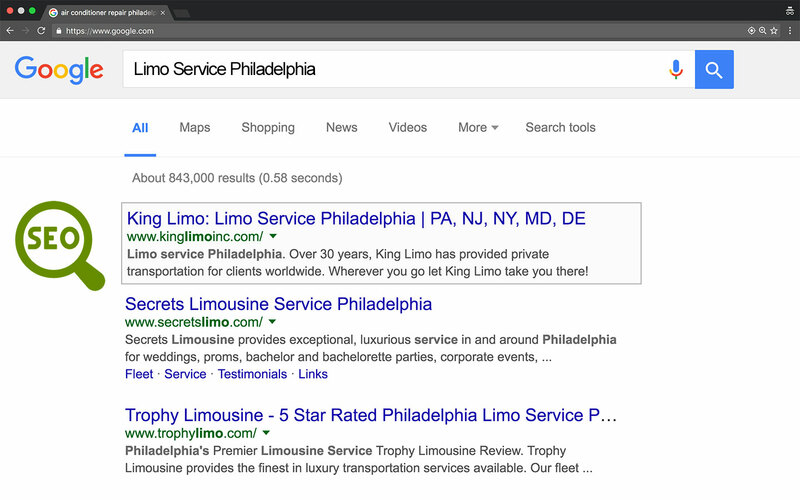 Continuing with our managed SEO services, we were able to get King on the first page of Google for over 183 Keywords including terms like “Shuttle Service Philadelphia” , “Limo Service Philadelphia” and many , many more. We didn’t stop there. We also created a new branded email newsletter layout that is more consistent with King’s new website and more optimally designed for call to action. The first email blast with the new design resulted in a 200% increase in email engagement which ultimately lead to more phone calls and sales. By tracking all of our efforts with phone tracking and web form technology we were able to account for over 9,600+ leads through King’s website in less than 8 months.